New technology creates natural-looking crowns in a single dental visit. Dr. Zoel G. Allen II and Dr. Tyler Kirklin are pleased to offer same-day crowns to qualifying patients. At the forefront of dental technology, Dr. Zoel G. Allen II and Dr. Tyler Kirklin incorporated the E4D PlanScan System into the treatment options available to patients. As a result, Drs. 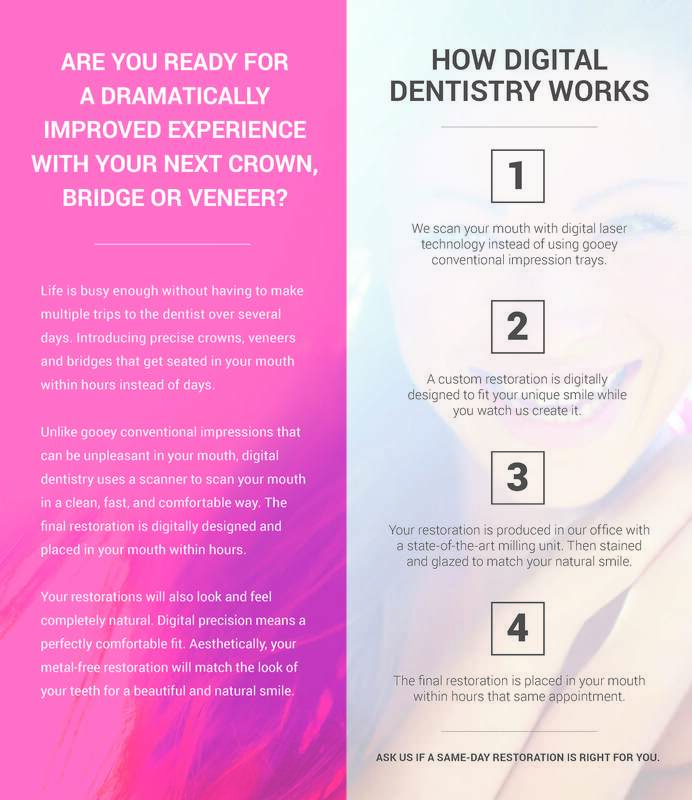 Allen & Kirklin can take a digital scan of the patient’s tooth and design and create a custom, permanent restoration in the dental office, all in a single appointment. We are so excited to bring this technology to our patients; the range of benefits we can now offer is more comprehensive and convenient. The E4D PlanScan System allows the doctors to replace conventional impression methods that include an unpleasant material followed by an uncomfortable waiting period. The clean, fast digital scan is obtained in a few minutes through a series of photographic images taken in the mouth. The final result is a natural-looking restoration that beautifully fits the surrounding teeth, making the crown virtually undetectable. 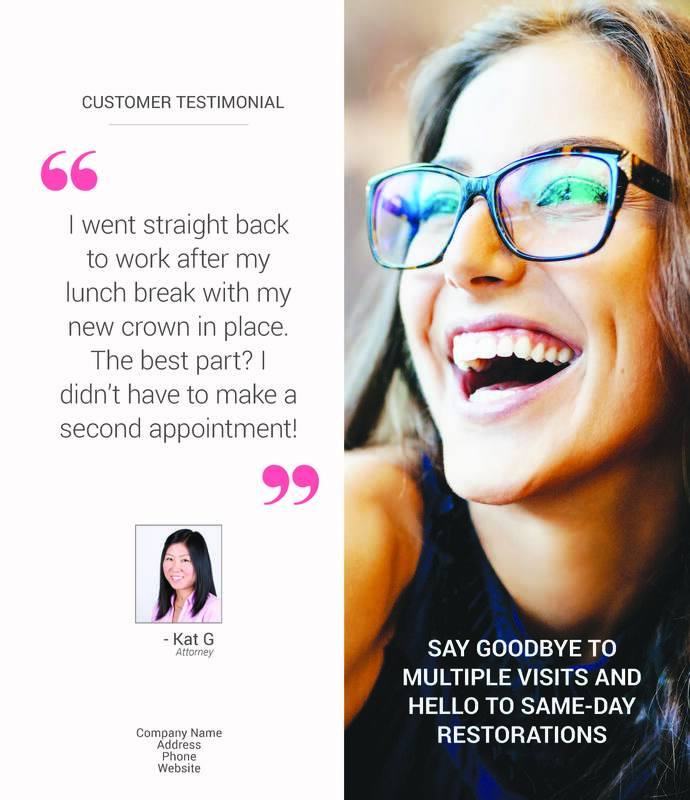 The elimination of impressions, temporaries, second appointments, and waiting for the permanent restoration revolutionizes the entire dental experience for both the dentist and the patient. Patients will love watching their new tooth come to life, as well as the convenience of same day dentistry. The E4D PlanScan System empowers dentists to treat their patients with ­­dentistry that truly fits their lifestyles. Ask our doctors about this technology today!